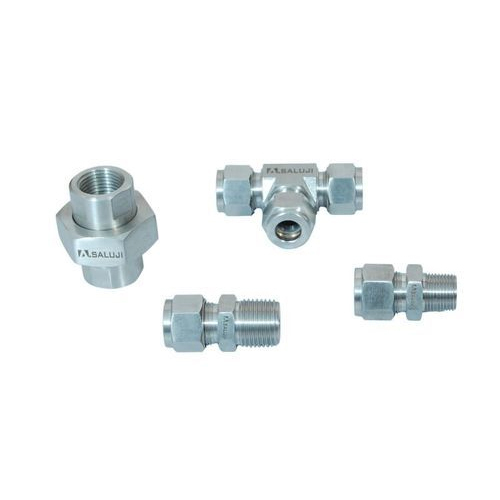 Backed by rich experience and expertise, we are reckoned as leading Manufacturer of Tube and Pipe Fittings. Our product range is widely appreciated for its high quality, precise texts, and competitive prices. Backed by rich experience and expertise, we are reckoned as leading Manufacturer of Tube and Pipe Fittings. Our product range is widely appreciated for its high quality, precise texts, and competitive prices. A Saluji Engineering Works accepts the challenging task by introducing the latest technologies to ensure the supply of production, final inspection, reliable testing at normal and extreme conditions.